Manage risks and keep your people safe with Oplift’s risk management app. 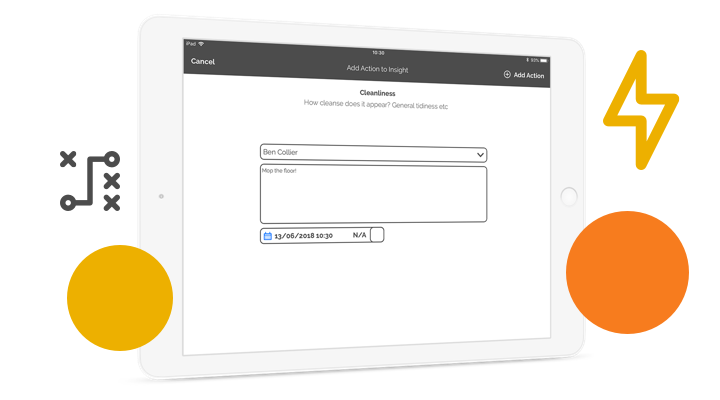 The app makes it simple to streamline your compliance efforts and easily monitor any potential risks. Oplift helps you to react quickly to any problems or hazards, make smarter decisions and gain control of your workplace safety. Carry out risk assessments with Oplift’s audits. They allow staff to quickly capture information and easily add comments or photos on the go, allowing you to manage and control all risks in your workplace. Perfect for assessing new machines, reporting on an accident, doing a process hazard analysis or carrying out a task risks assessment. All reports are date and time stamped in the app, and all reports are auto-scored so you can gauge which areas are more prone to risk. 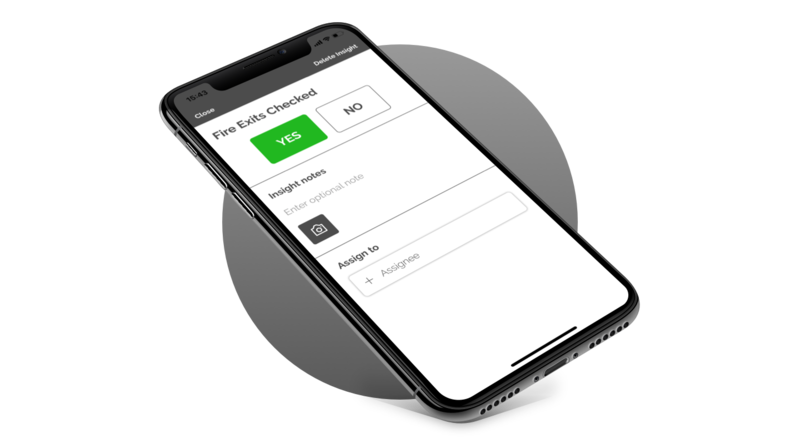 Manage risks and identify hazards by creating and scheduling speedy checks with our digital checklists that are always tracked, set time frames and dates to be completed by. Make sure your routine fire risk assessment checks are always completed. Employees can simply mark yes/no and leave comments where required. Any checks not done are immediately flagged to management. Simply tap to submit the checklist once completed. Virgin Media reduced the time it took to do their workplace checklists by 80% with the risk management app. 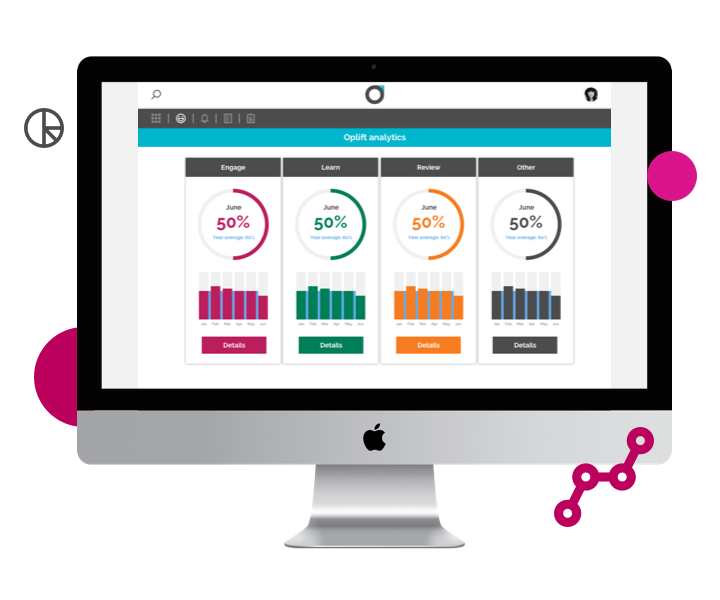 Oplift gives your team the visibility and insights they need to minimise and manage risk across the whole of your business. It’s a birds-eye view! All audits, checks and tasks are tracked and their data is aggregated in real-time for you to view on a dashboard in the app. You can view insights which allow you to take action to avoid risks and stop problems in their tracks. Stay one step ahead. Managing risk and keeping your workplace safe means action needs to be taken fast when a problem arises. Oplift’s instant alerts allow you to send messages directly to employees devices even when they are locked. Perhaps you need to notify staff about a mandatory change to your manual handling policy. Ever carry out a risk assessment and have an endless list of tasks that need completing, perhaps you’ve noticed that extreme weather makes it unsafe to work in certain areas so someone needs to place signs in the appropriate places? Oplift’s risk management app allows you to set tasks with a specific person who is responsible and a deadline for them to complete. Everyone is clear on what needs to get done, by when and who needs to do it. Improve safety, increase efficiency and reduce risks in your workplace with Oplift’s risk management app, see how we can help you!